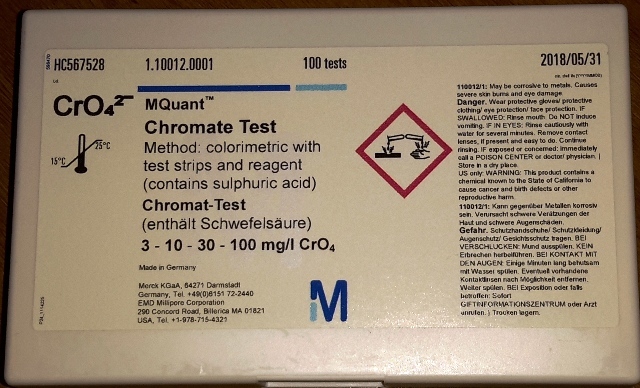 MQuant Chromate - formerly Merckoquant Chromate The MQuant Chromate test allows the quick and easy determination of Chromate in solutions. 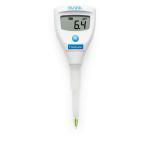 It comes with all necessary reagents so that the measurement can immediately be started. Within 30 seconds one gets a reliable result. Many Chromate compounds are poisonous and carcinogenic. They are used for example in chrome plating and tanning. 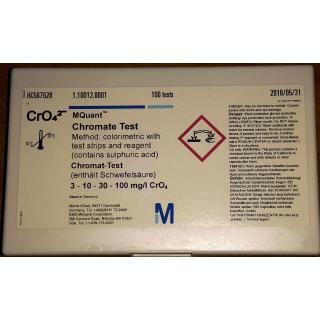 MQuant Chromate is used for the easy monitoring of water discharged from such plants. These MQuant test strips have a shelf life of at least 2 years after production.